The Studium Catholicum also offers access to Verbum: the Catholic version of the Logos 5 software. Like its sister tool, Verbum provides library users with a remarkable resource containing thousands of scholarly works dedicated to the study of Scripture and Church tradition and including a vast body of commentary and explanations of Biblical terms. Verbum also gives access to countless resources pertaining to the Catholic tradition, such as theology, mystics, pontifical writings and official documents of the Holy See, including the contemporary theology of, for example, Hans Urs von Balthasar and Pope Benedict XVI. 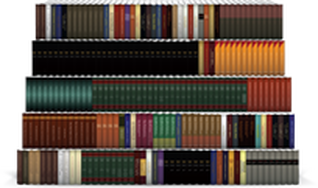 Click on the bookcase to view Verbum's Catholic Resources. 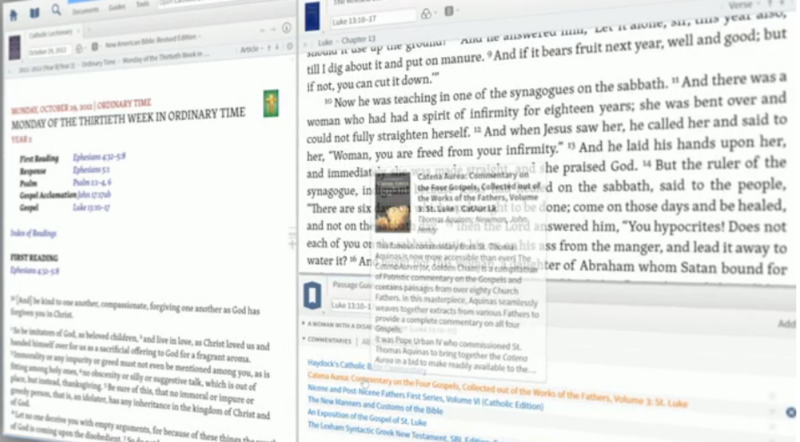 The software's Bible Sense Lexicon helps understand nuances and relationships to other biblical words. A refined search tool allows the reader to instantly explore all the passages in this huge library relating to a chosen theme, word or Biblical citation. Please note that the Verbum tool is available through local access at the Studium only. For more information, visit the Studium library or click through to the Verbum website.